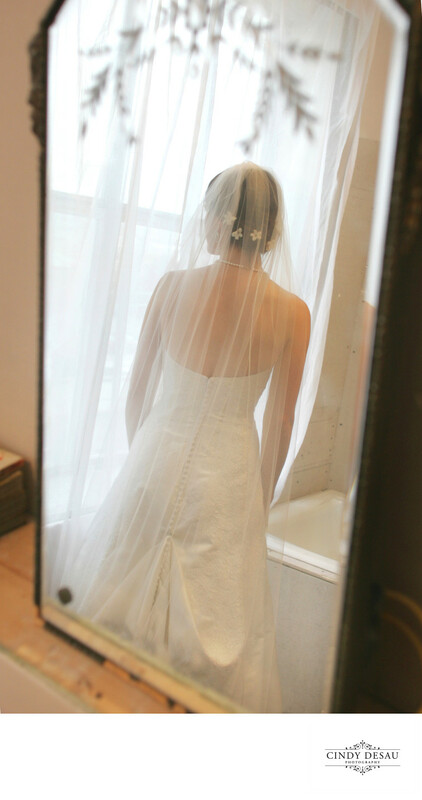 This bride got dressed for her wedding at home, and I saw this beautiful vintage mirror. I asked her to look out her window and captured the special elements of her wedding attire. The delicate engraving on the mirror complements the floral details in her hair as well as her bridal veil.